JP Somers pitched 4 scoreless innings. 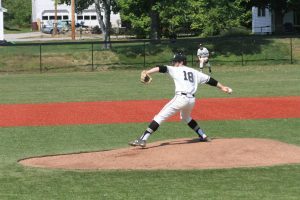 The Wolverine Baseball team had their first road game on Wednesday night against Central Maine Community College in Auburn, ME. The hits came in bunches for the boys, and so did the runs. The Wolverines scored all four runs in the second inning, “a big two RBI single from Sam Majewski was the difference for us tonight,” said Coach Izaryk. Mitch McCabe’s bat was alive Wednesday night smashing three hits. Joe Brady and Andrew Camacho both added hits of their own. 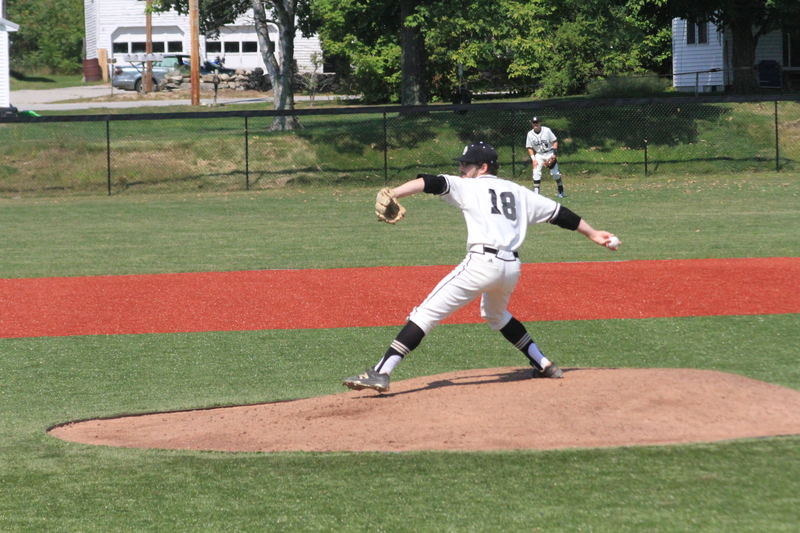 Offense was not the only strong suit for the team, pitcher JP Somers started the game on mound and pitched four scoreless innings, ultimately giving him the win. Overall Coach Izaryk was pleased with how the game went last night “Offensively, we did some good things, specifically on the bases. We need to continue to develop our offensive approach.” The Wolverines are back in action on Saturday against Merrimack College JV for a doubleheader.